MBTA: Reading can be accessed through the Haverhill/Reading Commuter Rail Line at North Station. 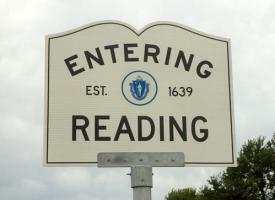 Lying just 10 miles north of Boston, Reading is a charming town with a lot of historical importance. The town came to be in the 1640s when some citizens of Lynn petitioned for a “place for an inland plantation.” Reading played an essential role in the American Revolution, taking action against the retreating British Army after the battles of Lexington and Concord. Best-selling author Jess Brallier calls Reading home as well as Danny McBride, lead guitarist of Sha Na Na.